A host of Chinese runners are descending on Chamonix this year and could surprise the trail running world by bursting onto the international scene at the Ultra Trail du Mont Blanc (UTMB) races. Among the 395 Chinese runners, there is a core of top class runners – all former elite marathoners. 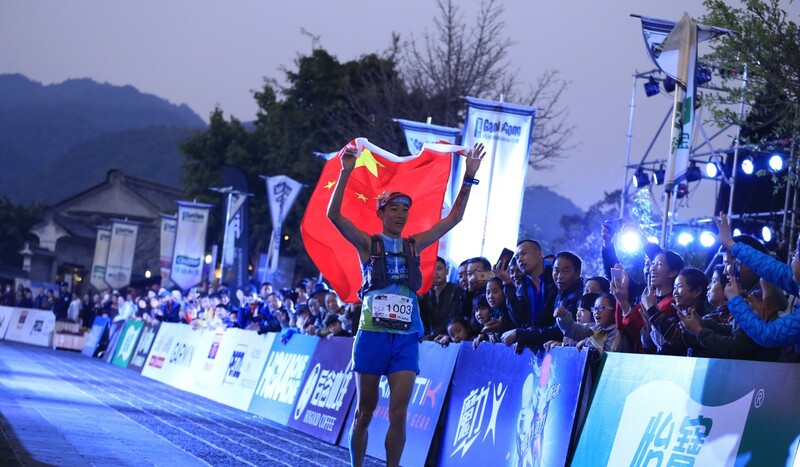 The question is, have these products of the Chinese state sports system been truly able to adapt to ultra and trail running, and challenge the world’s best on their home turf? The UTMB is a week-long running festival in France from August 27 to September 2. It has a number of races, including the 121km TDS, the 100km CCC and the 56km OCC, and culminates with a 161km race all the way around the Mont Blanc Massif. The Chinese assault is led by golden couple Qi Min and Yao Miao, the winners of the Hong Kong 100 in record times this year. At UTMB they are registered for the 121km CCC. But at the 125km Lavaredo in Italy, Yao’s relative naivety cost her a sure win. Way in the lead, she was not wearing sunglasses. By the end of the race, she could hardly see, stumbled blindly down the final descents and was overtaken, finishing second. She said she would not make such a silly mistake ever again. 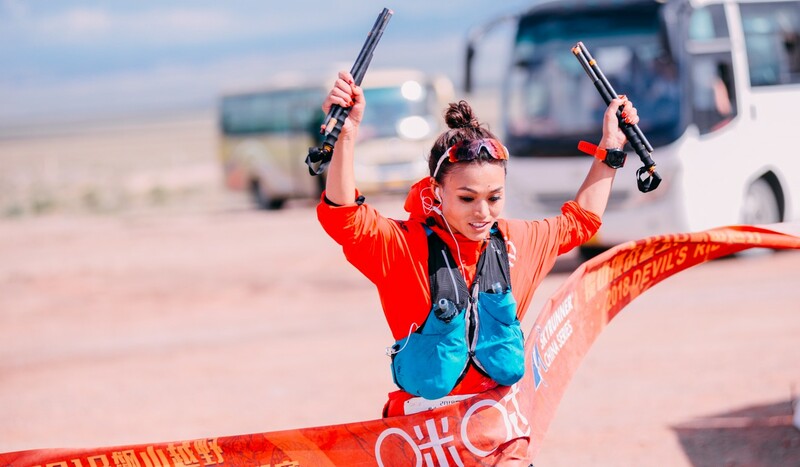 Competing at an unknown event in China until last year, Yao and Qi blitzed the Yading Skyrun to comfortably take victory. Australian Etienne Rodriguez, race director for the Yading Skyrun, said they were both “monsters” and cites Yao’s Lavaredo result as a nod to her potential. Rodriguez, however, has reservations about Qi’s prospects. “He is superfast, a 2:16 marathoner, and he has done brilliantly so far with his speed, but this was on courses that are not very technical,” Rodriguez said. “I call him a monster because of how aggressive he is. For a race like the UTMB you need to factor in things like weather, nutrition … it is not just about running very fast,” Rodriguez added of Qi, who does not eat during 50km training runs and only had a banana during his entire record-setting HK100. Lithuania’s Gediminas Grinius, who was second at UTMB in 2016, raced Qi at the Gaoligong by UTMB and watched as Qi took the lead early, only to eventually drop out. “The Chinese, in my opinion, want quick results. Their main problem is that they lack experience and they don’t know yet how to prepare,” Grinius said. “Qi Min went way too fast at Gaoligong and destroyed himself, so the Mont Blanc Massif at UTMB will probably destroy him even more. Qi’s traning partner, Shen Jiasheng of Yunnan, who has never lost in an ultra or a trail race, is running the 56km OCC. “He [Shen] can win at UTMB,” said Japanese ultra-runner Ruy Ueda, the 2016 CCC-division runner-up at UTMB, who was comfortably beaten by Shen at Gaoligong over 125km. “He has heart and he has physical strength – I saw his calves for the first time, they were huge, I was so surprised. Runners will have to deal with the thret of Chinese marathoner Zheng Wenrong in the TDS. Formerly part of the Chinese national team, the native of Xishuangbanna has a blistering 2:32 marathon personal best, and for the past two years has been “learning how to trail run”. She claims, tongue in cheek, to be “happy to just finish at UTMB”.